This is designed for situations where high security is required on small openings. It is commonly used on doorway entrances, counters, small industrial and commercial garages, sporting pavilions, lock-up enclosures and on external faces of buildings etc. 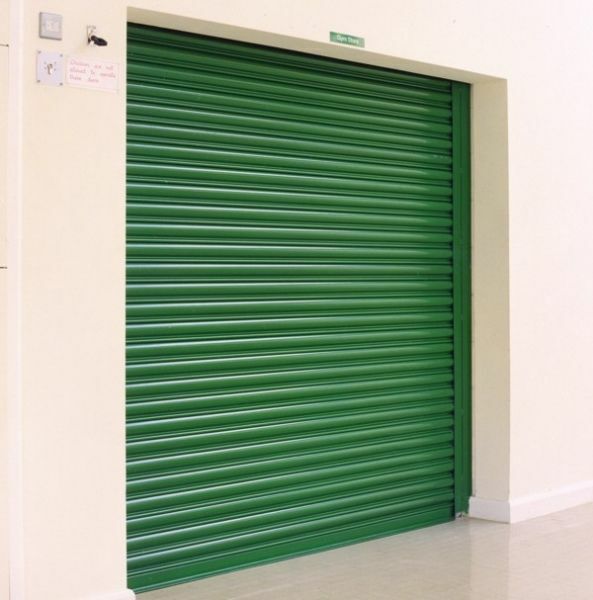 The steel roller shutter will be manufactured by 3rd Generation Doors. The curtain will be constructed using roll formed interlocking slats being 75mm in depth by .08mm thick galvanised steel. Each alternative slat will be fitted with nylon end clips. The door will be hand operated and fitted with pad bolts locking to bottom rail at each end. The door will be fitted behind or between walls as specified. Where doors are to be fitted between wall, the guides are to be fitted with 75mm steel angle. The curtain will be constructed using roll formed interlocking slats being of 75mm depth by .08mm thick galvanised steel. Each alternative slat will be fitted with nylon end clips to prevent lateral movement. The bottom rail will be specially extruded heavy duty aluminium interlocking angle section. The drum will be a steel tube having a minimum diameter of 150mm designed to give minimum deflection, incasing helical torsion springs matched to suit the door weight and size revolving on a steel axle. The support brackets will be fabricated from mild steel plate and will have provision for fixing to brickwork or steelwork. The door is operated easily by lifting door up and down by hand. Will be made from roll formed galvanised steel channel having a depth of 50mm or 65mm depending on width. Where doors are to be fitted between walls, guides will be fitted with a 75mm by 75mm mild steel angle to stop curtain touching walls. Locking will be provided by using two pad bolts one fitted either end on the bottom rail (internally or externally) - (pad locks by others). Mullions where required will be fabricated from mild steel and will be removable type and having a minimum width of 180mm. 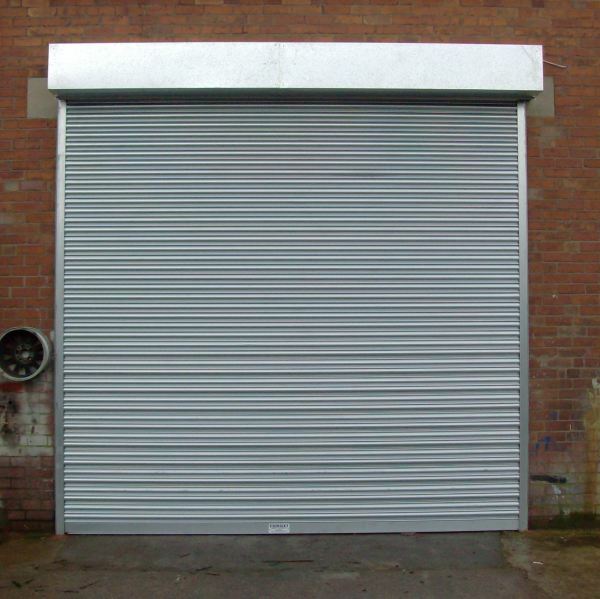 Hand operated shutter up to 2700mm high by 3000mm wide. Curtain and guide channels will be galvanised. All mild steel components will be given a coat of primer. Ventilation can be provided by slotting the curtain with punched holes being 104mm in width by 18mm height at 100 to 150mm intervals.